Electric Machines is a very important subject in Electrical Engineering. 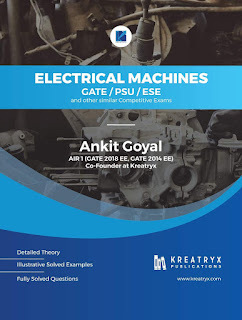 Important topics to cover each and every concept of Electric Machines. "Practice more and more problems to develop the skills." "Before solving any problem, you need to devote 30 seconds to carefully read and understand the problem as most of the time mistake is committed due to not reading the question properly." Best Book Available in the market for preparing GATE, ESE, and other related engineering entrance exams.